Should You Get a Garage Floor Mat for Snow and Ice Protection? 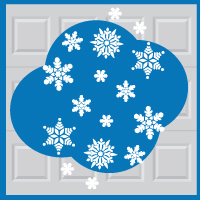 Blue Sky BuildersSkywriters Garage BlogGarage MaintenanceShould You Get a Garage Floor Mat for Snow and Ice Protection? It’s upon us. The snow is slowly falling down in Illinois and with it comes the beginning of the holiday season. It also means that winter is trickling into the area. A winter that many believe to be one of the most snow-laden winters in recent history. Just ask the people of Buffalo how badly the snow can get. So, we’ve shown you how to winterize your garage, set up your storage effectively, and even keep the vermin out of your garage; but now we would like to introduce you to another way to protect your garage this winter—the garage floor mat. Do You Need a Garage Floor Mat? If you want to protect your floor, and haven’t yet put down garage epoxy or paint, the garage floor mat is your next best option. Relatively cost effective, the garage floor mat provides temporary protection to your garage floor, protecting it from stains, spills, and salt. So, yes. If you haven’t taken other steps to prepare your garage, the garage floor mat is right for you. But what should you look for in a garage floor mat? Depending on your garage’s needs, there are different types of mats available to use. From containment to fabric to ribbed, these garage mats have different usage for different environments. If you live in a climate with large snow falls, then a containment garage floor mat would be the best choice by far. These mats are designed to hold gallons of water for those days when the bottom of your car resembles more a snow plow than your daily vehicle. Featuring lifted edges to keep water in, the containment mat is easily cleaned with a wet vac or features a removable end that allows you to squeegee water out. For those of you who get the occasional snow fall and don’t feel the need to contain such large amounts of water and debris, there are two more mats that are worth your consideration. These work well at absorbing liquids from snowmelt and provide for a soft ant-slip surface. Made with waterproof, bonded backing, these mats will not let snowmelt, road salts, or deicing fluids reach your floor. Though technically not a containment mat for snow or water, the ribs do work at holding moderate amounts of liquid if you have a level floor. They can be mopped dry or use a wet vac to remove water and debris. At Blue Sky Builders, we care about helping you avoid long term costs associated with winter damage to your garage. As your leader in custom garages, garage repair, garage doors, and more; we care about our customers and neighbors. 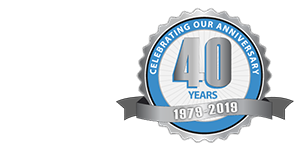 Now in our 35th year, we look forward to helping you find your perfect garage.